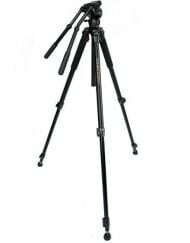 A very capable tripod and head at a very affordable price. The 3000 Series is rated for up to 9 lbs. 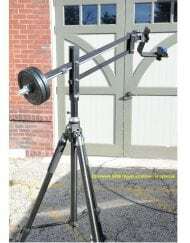 All-aluminum head and quick-release plate. 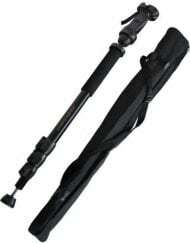 Perfect for binoculars up to 80mm. 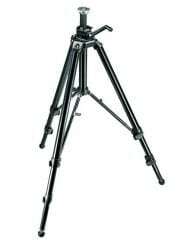 The Oberwerk 3000 Series tripod and head combo is the best value on the market for a medium-duty tripod for binocular astronomy. 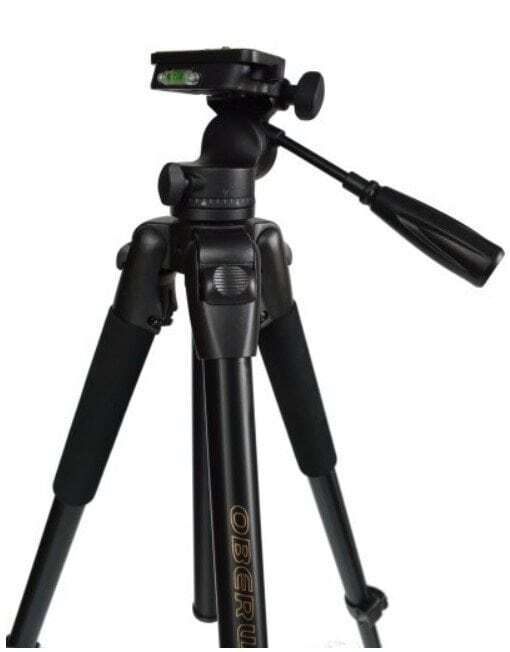 Comparable to the much more expensive Manfrotto 055XDB tripod/128RC head, it has a similar load capacity (up to 9 lbs.) and even greater maximum height (78″)- enough height to allow standing underneath a binocular when it is pointed up at the night sky. 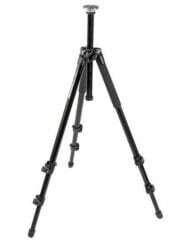 Tripod construction is black-anodized aluminum, the pan head is cast aluminum, with a total weight of 8 lbs. The pan head includes two quick release plates and panning handle. Also included is a padded carrying case. 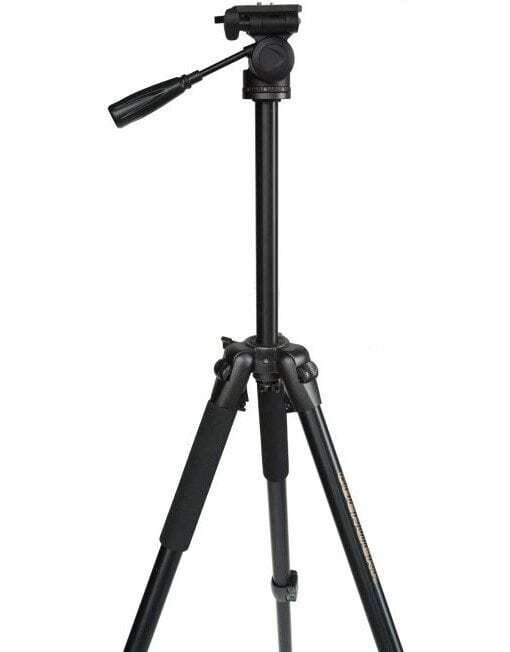 This tripod/head combo is ideal for all Oberwerk binoculars up to the 20×80 Deluxe III. 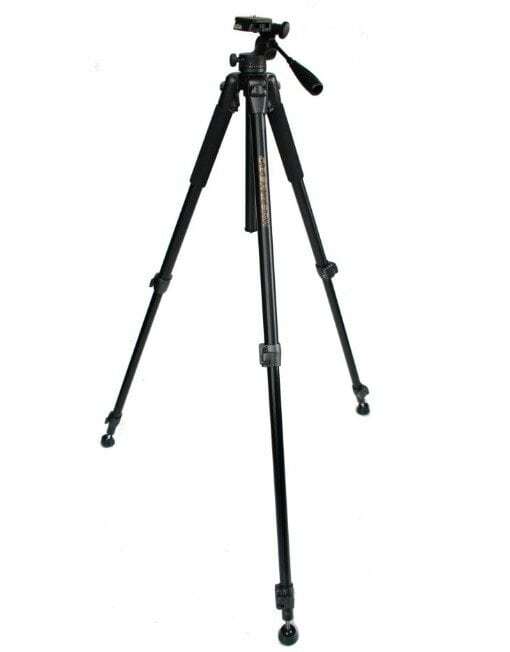 For larger/heavier binoculars, choose the 5000 Series Tripod/Head. 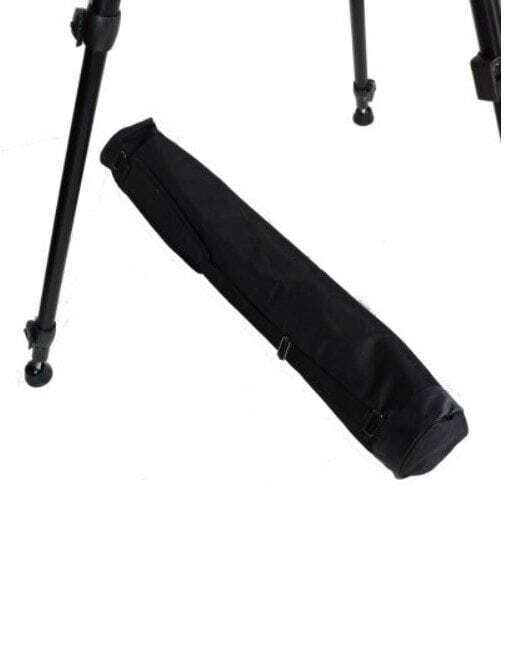 Sturdy 3-section tubular aluminum legs with quick-flip locks. 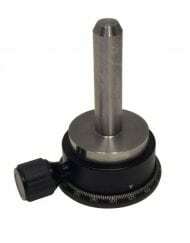 All-aluminum panning head provides smooth azimuth and altitude motion. 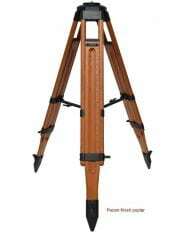 Altitude bearing tension adjusted by a twist of the panning handle. Two aluminum 1/4-20 quick-release plates for easy attachment/removal of binoculars, cameras, etc. Elevator column with screw clamp for easy height adjustments. Maximum Weight Capacity: 9 lbs. Height- Min. 33", Max. 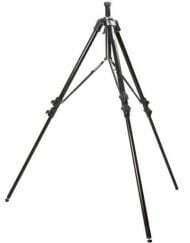 78"
I purchased the 3000 tripod in 2015. It represents great value. 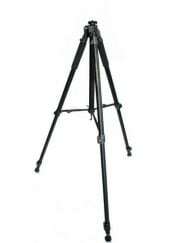 I have used it to mount binoculars and a digital camera with extended telephoto lens – very solid, reliable, adjustable, and portable with its carry bag. Happy customer. 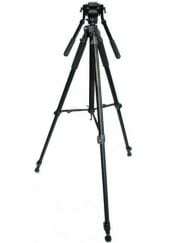 A very affordable and capable tripod for the 20×80 binos. 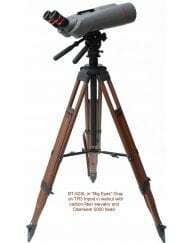 Like the Oberwerk pistol-grip monopod, very solid, adjustable and tall enough to view astronomy straight up in the sky.